Beautiful Incentives: Giftcard Rescue Giveaway $200! I'm excited to be a part of this giveaway and be able to offer my readers a chance to win mula! There are so many great high value gift cards to win! 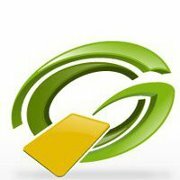 Check out GiftCardRescue.com and see if there are gift cards to what retailers your frequent! If you are going to spend your money there you might as well save some money before you even start to shop. Disclosure: Beautiful Incentives is not responsible for prize shipment and has received no compensation for this giveaway.